ETI's Range of Rugged Medical Grade Products are here to meet your needs! In a hostile environment, you don't want to hear "The system isn't working." Lives may be at stake, and you need your equipment to function! These flexible panels are fixtures designed to properly illuminate work areas in remote off-the-grid locations or for medical triage in the field. They are lightweight, flexible, weather- proof & high intensity. The high power LEDs are 10x more energy efficient than traditional lighting sources. Their rugged design allows positioning the fixtures where ever you need them. With a lifespan of over 50,000 hours, spare bulbs will not be an issue in the field. 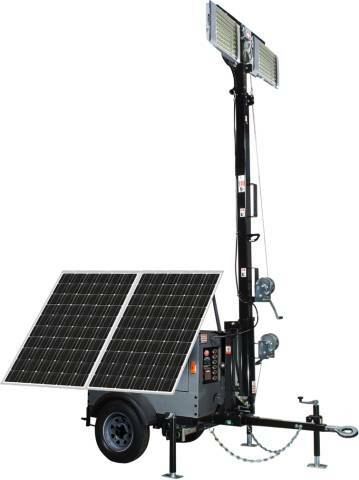 TLL can be operated from most power sources including vehicles or battery packs. 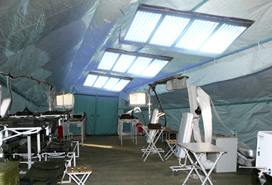 TLL can be used for lighting the inside of field hospitals or other shelters. LAND-BASED WATER TREATMENT SYSTEM: Energy Technologies, Inc. manufactures and distributes Tactical energy solutions worldwide, including our energy efficient, reverse osmosis desalination systems which include energy recovery high pressure pumps. ETI offers power solutions to meet the demands of medical, computer and communications applications with global AC & DC inputs and medical grade isolated outputs. 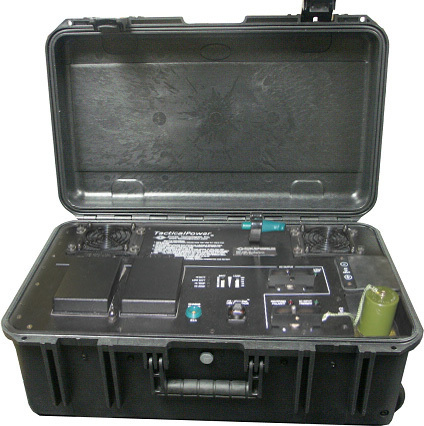 Power conversion and storage units integrated into rugged portable enclosures providing easy deployment & equipment protection. Quick shelter setup in as little as 3-minutes. Systems can also use DC input from military or emergency vehicles or input from any AC source. Various DC and AC output voltages are available. Reduces risk and cost of logistical support. Reduces reliance on extra batteries. Protects equipment and personnel from weather. 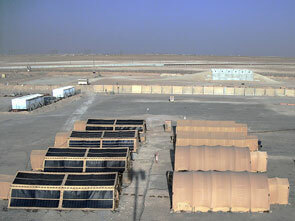 Panels can also be draped over other structures or vehicles, or simply laid out on the ground. Non-reflective solar panels have a matte finish. The Tactical Office is a complete office system that provides the conveniences of a modern office, packaged to be deployed anywhere in the world, at a moments notice. The system includes various modules that can be configured to meet the specific needs of your application. 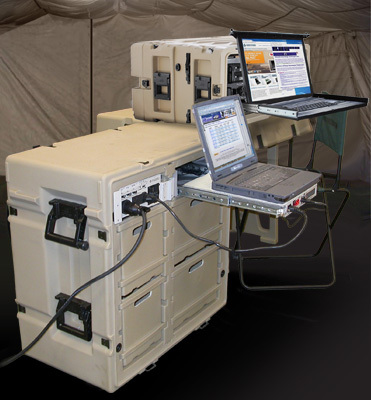 Tactical Medical Office™: Durable office furniture, lighting & power systems able to be shipped and deployed in remote medical crisis situations. Unfold these flexible lightweight panels to generate power and/or recharge portable medical devices in the field. Incorporating solid state, thin-film solar cells, these power packs provide an excellent choice for applications that require light, durable & silent power. Up to 120 Watt panels. Parallelable and/or series configurable for higher wattage or voltage. Performance will not decline with age. With AC or DC input, the TIM can produce ice cubes for medical ice packs or any other medical application. Designed for rugged and hostile environments, It can also be used as a refrigerator for medical samples, test tubes or food. 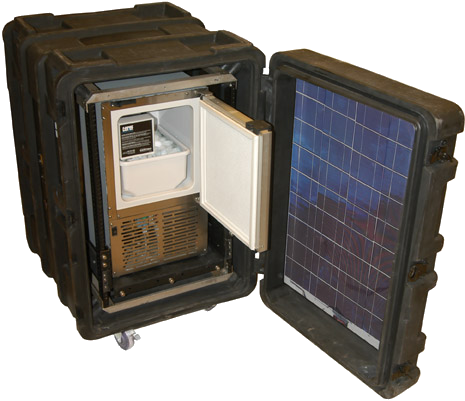 Optional solar panels are available built into the case to reduce dependence on other powers sources. 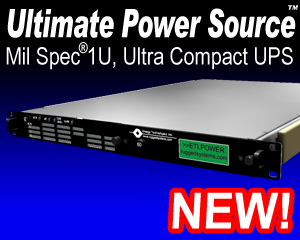 Optional power packs provide a choice for applications that require lightweight, flexible, durable, and/or silent power. The TRF is suitable for maintaining the proper temperature of medical supplies, food and other perishables in harsh environments. Readily deployable worldwide, it operates from local AC or DC voltages as well as the optional solar and battery backup feature.